When I decided to become a dietitian, I was curious about how food broke down into nutrients, and how those nutrients were used in our body. I also liked the idea that food, nutrition, and health were themes that everyone could relate to and talk about. It never factored in my naive little brain that “dietitian” actually translated to “weight loss expert” in most people’s minds. I’m not saying this to make you feel bad or guilty for wanting to lose weight, nor am I saying this to make you feel that we can’t work together. (Though I won’t be working with you on weight loss.) While the answer is technically yes, it is possible to lose weight without dieting, there are a lot more layers to this answer than you might think. Though I’ve only been a non-diet dietitian for just over two years, the phrase “diets don’t work” has been in my vocabulary for virtually my entire career. That’s because when most people think of “diets,” we think of fad diets—ones that cut out entire food groups, or have you only eating the same food for days. We argue that they’re “not sustainable” and that once you go off the diet, you’ll regain the weight. Even the diet industry is onto the fact that dieting is so last century, and it’s been scrambling to rebrand itself as about “health,” “wellness,” or “lifestyle change,” even though the underlying programs are more or less the same. So, when someone promises that they can help you “lose weight without dieting,” what they’re actually selling is still dieting. If they say it’s for your health, but your success is measured by how much weight you lose (even as a side benefit), then it’s still dieting. A non-diet approach does not promote weight loss. What About Gluten-Free Diets or Anti-Inflammatory Diets? Is Non-Diet Against Those? If you got lost or tuned out after I said that the “diet” in “non-diet” means “any pursuit of weight loss,” I hear you. I totally agree that’s not what diet is supposed to mean at all—it really should just mean “eating pattern.” However, the word “diet” has been co-opted by the diet industry to be synonymous with weight loss. I mean, isn’t that why people think dietitians are weight loss experts? There are eating patterns that have been shown to have health benefits independent of weight loss. Arguably, the most well-known example is a gluten-free diet for celiac disease. In “dietitian terms,” these are called “therapeutic diets,” or “medical nutrition therapy” (MNT). The tricky part is that many therapeutic diets have been co-opted for weight loss and “wellness”. So, how do we know if it’s a-OK with a non-diet approach? If your eating pattern celebrates weight loss, demonizes weight gain, and/or moralizes foods, then it’s probably a diet. If your eating pattern is about making food choices that can help your specific condition, regardless of what your weight does, and you’re not seen as “bad” if you don’t follow it “perfectly,” then it’s probably aligned with a non-diet approach. When you make any change to your eating or lifestyle habits, one of three things will happen to your weight: 1) You will lose weight. 2) You will gain weight. 3) Your weight will stay the same. So, although you technically can lose weight without dieting, you can’t control whether your weight will fall into category 1, 2, or 3. You might be thinking, “What’s the point of changing my eating habits if I won’t lose weight?” If that’s the case, I invite you to consider why you want to lose weight, and at the same time consider the fact that your answer is probably heavily influenced by the fact that we live in a world that idealizes certain body types (hint: thin) and is downright unfriendly to ones that don’t meet that ideal (hint: fat). The sick part is it dangles this false hope that anyone can achieve the “ideal body” (and with it, an “ideal life”) if they just work hard enough; want it enough. What is it about that number that you have at the back of your head (whether it be a weight, a measurement, a dress size) that is so attractive? Is it really about that number? Or the life that you imagine would come with it? And maybe, just maybe, could you inch a little closer toward that life no matter what the scale says? I also get it if the answer to having the life you want would involve taking down systemic fatphobia, which feels even more out of reach than lasting weight loss. 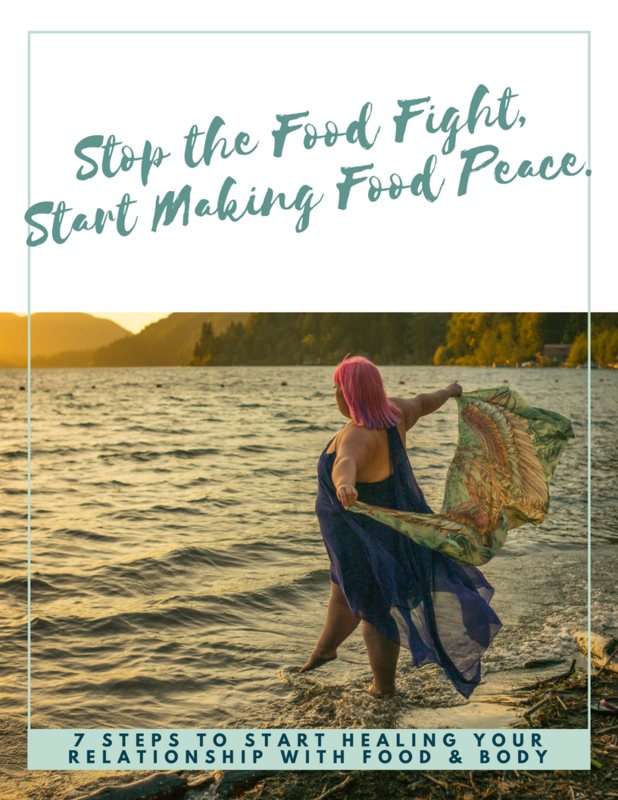 Like you, I wish there was a better, easier answer, and I hope I can at least offer my help and support as an ally as we all work to chip away diet culture and its related systems of oppression. Was this post what you thought it would be, or did I just shatter your hopes and dreams? Please share your questions and insights in the comments below. Well said fellow dietitian. The word diet is in dietitian but you can also spell EAT if you were playing scrabble. Let’s just eat well and care for ourselves. Thanks for your kind feedback, Diana! Great article! Just came across you guests episode on mindful dietitian and I really appreciate this perspective!